The Wisconsin State Tree, Sugar Maple is one of the hardiest and long lived of all the maples. Valued commercially for timber and syrup production, this tree is a staple of Wisconsin woodlands and fall color. With fall color ranging from gold to orange and scarlet, Sugar Maple is a sight to behold! May also be known as Hard Maple, Rock Maple. With its stately form and beautiful fall color, Sugar Maple is sure to make a statement when sited correctly. Do not plant in areas with heavy salt spray, high levels of air pollution, or compacted soils. 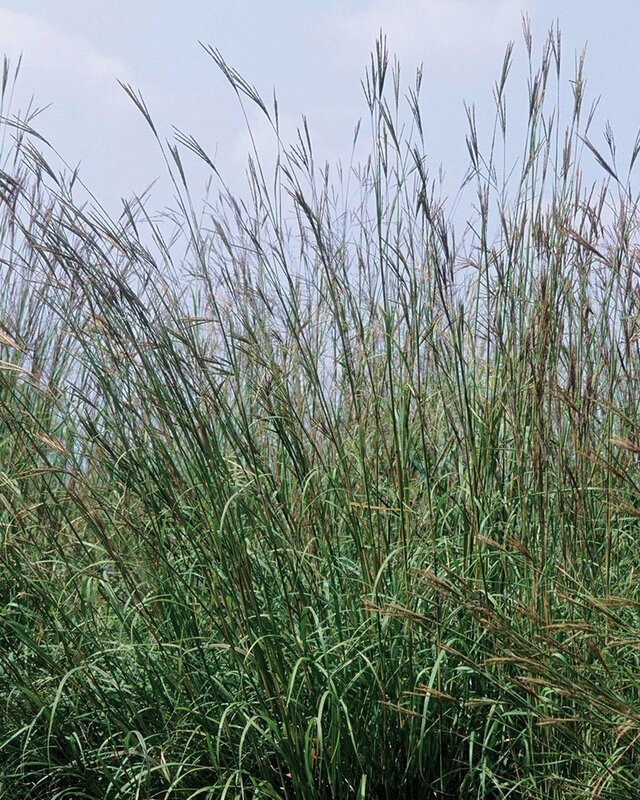 Its mature size should also be accounted for, and should be sited at least 20 feet away from structures or power lines. Sugar Maple is excellent as a specimen or shade tree, and can be used to great effect along a driveway or path to make an allée. Sugar Maple is an important tree for our native wildlife. The flowers, although not dependent on insects, are an early season source of nectar for honey bees and other pollinators. The seeds are a food source for many animals, including squirrels, orioles, wrens, and warblers. Birds will also eat insects and arachnids found within the buds and bark. The twigs are consumed by deer and small mammals as a winter food source. Branch crotches are a habitat source for many bird species. In periods of drought, Sugar Maple should be given supplemental watering. If rainfall is less than 1 inch per week, use a hose to water the tree deeply. This will maintain vigor and prevent disease. The shallow rooting habit of this tree makes mulch rings especially important. In fall, check to make sure your mulch ring is at the recommended 3-4 inch depth. Apply an annual top dressing in fall to continually add nutrients and maintain soil moisture. If pruning is necessary, contact a certified arborist to shape your tree for structure and health. If diseases other than tar spot are noticed, an arborist will help develop a plant health care program for your tree. We invite you to check out the Arborist For Hire lookup at the Wisconsin Arborist Association website to find an ISA Certified Arborist near you. Sugar Maple has few insect or disease issues. Insect damage is usually caused by Gypsy Moth or Forest Tent Caterpillar. Aphids and scale insects may attack the twigs and leaves, and boring insects may be problematic when the tree is stressed. Verticillium wilt, anthracnose, and leaf spot may also be problematic if Sugar Maples are under duress. The best prevention for these diseases is to maintain tree vigor through proper watering and maintaining a mulch ring to keep the shallow roots cool and well-hydrated. Tar spot, a fungal disease vectored by birds, forms black lesions on the leaves of Sugar Maple. This disease is purely cosmetic and is no cause for concern. It can be somewhat controlled by removing and destroying infected leaves in fall, but it is rarely preventable. Sugar Maple is intolerant of many urban conditions, including compacted soils, salt spray, and air pollution. It should not be sited near heavily trafficked roads, industrial operations, or where soils are especially prone to compaction. Additionally, construction efforts near Sugar Maple trees should establish Tree Protection Zones to avoid damaging the root system. Sunscald can be problematic where Sugar Maples receive high levels of sun on their trunks and rapidly freezing temperatures in the evening. This freeze-thaw cycle ruptures the cells in the bark, creating unsightly wounds that may not close. There is no treatment for sunscald once it has occurred, and there is no guaranteed method for preventing sunscald. However, trees that have been properly hydrated in fall are much less likely to be damaged than trees that are not watered. A maintained mulch ring combined with proper fall watering will reduce the chance and severity of sunscald. The trunk of Sugar Maple can be damaged by buck rub during winter months. Use a spiral tree guard or other physical barrier to protect the trunk from deer damage in winter. Do not use a product that is tight to the surface of the bark, or black in color, as this can increase the chance of sunscald during winter months. Our state tree, and rightly so, Sugar Maple is a monarch of our Wisconsin forests and is of great economic and cultural importance. 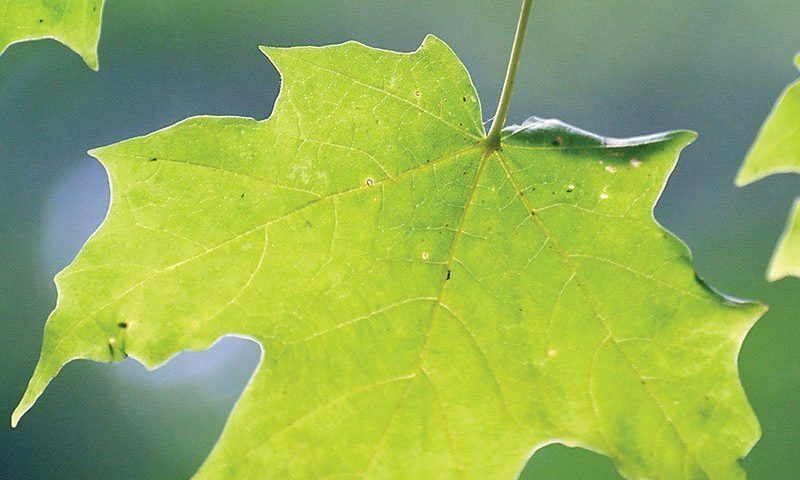 In its native range, Sugar Maple makes up over 30 million acres of hardwood forest and is typically found in cool, moist climates where soils are acidic to slightly alkaline (pH 3.7-7.3). It is best known for its timber, sap production, and fall color. The flowering of Sugar Maple is polygamomonoecious- male, female, and bisexual flowers are found on the same plant. It was previously thought that the flowers required insects for pollination, but new research has shown that viable seeds are produced even when insects are not present. Reliable fruit production begins after a Sugar Maple has reached more than 20 years of age. The fruit, a double samara, ripens in approximately 16 weeks, but typically only one samara contains a seed. 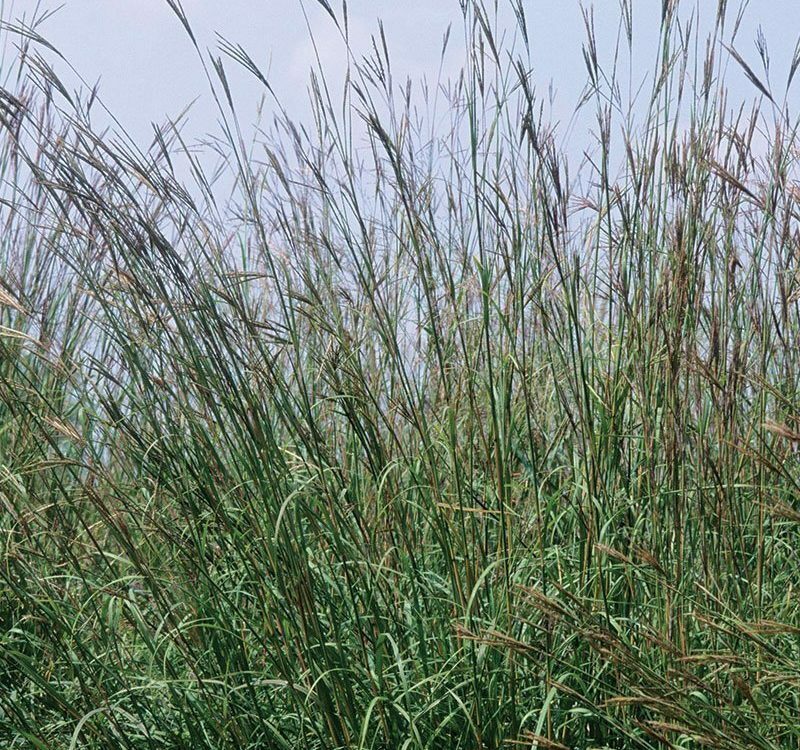 The samaras are spread by wind, often called helicopters due to their spinning habit when falling. Their wings allow them to be carried long distances, up to 300 feet away from the parent plant! Good seed crops occur every 1-4 years in Wisconsin, and may occur up to 4 years in a row. In a virgin (unlogged) forest of Sugar Maple, researchers recorded over 8 million seeds per acre. Sugar Maple grows slower than most other hardwood species, averaging only 12 inches per year for the first 30 to 40 years of its life. However, it is also one of the most shade tolerant deciduous trees in our native forests, matched only by American Beech. 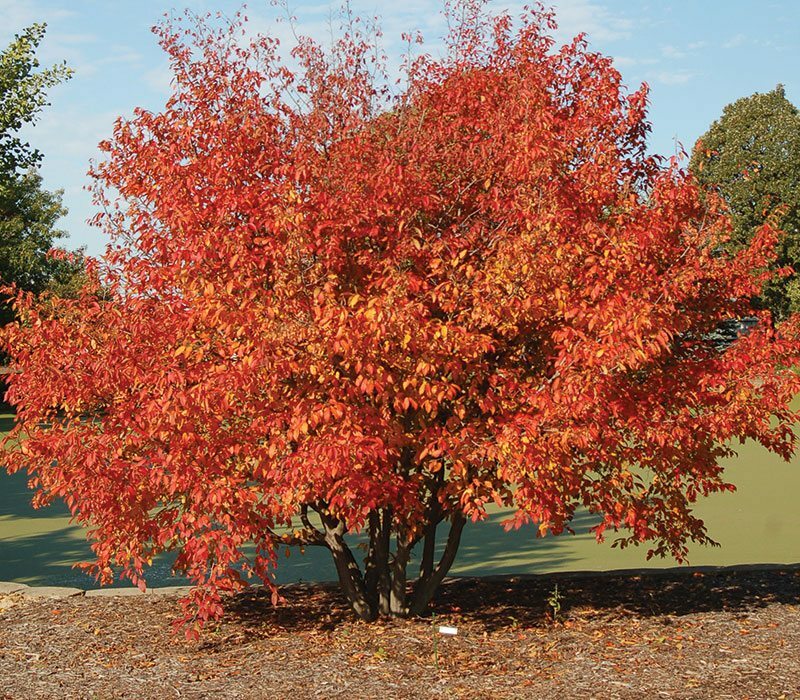 It can survive with less than 25% sunlight and will easily replace trees that are only partially tolerant of shade. When sited in a landscape setting, Sugar Maple will grow faster due to greater sunlight availability and reduced competition. Sugar Maple roots release a chemical that inhibits the growth of Yellow Birch, giving it a competitive advantage over one of its commonly associated tree species. This allelopathy may impact other tree species as well. 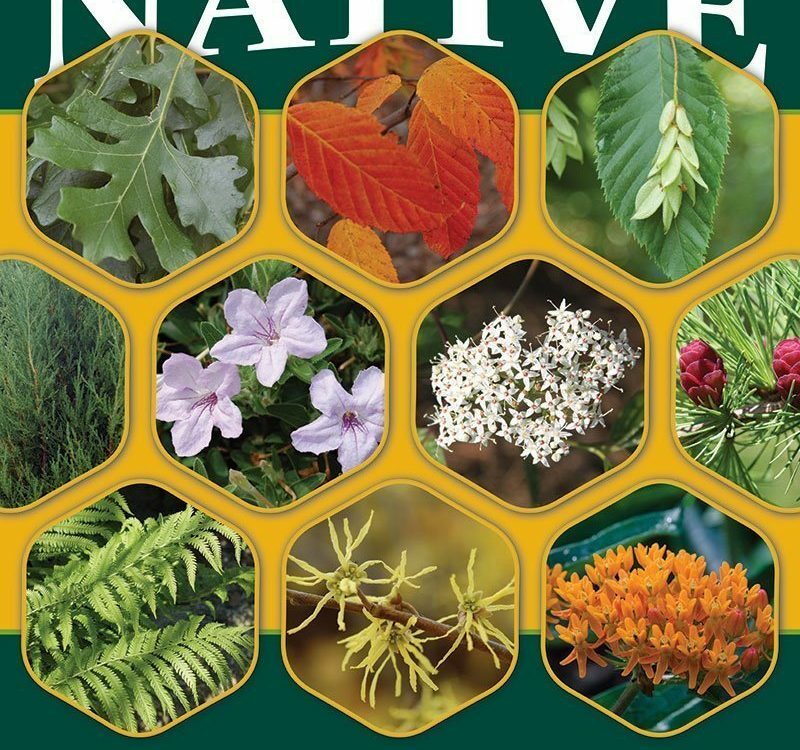 On the other hand, Aster and Goldenrod release allelopathic compounds that prevent Sugar Maple seeds from germinating, preventing it from invading more open areas. The timber of Sugar Maple has long been prized for its strength, giving it the other common name of Hard Maple. The white sapwood is used for a variety of specialty products, ranging from basketball courts and bowling pins to instruments and archery bows. A rare wood product derived from Sugar Maple is Birds Eye Figure. This wood has small swirling eyes that resemble its namesake and is prized for its aesthetic qualities. No research has yet been able to determine what causes this unique figure, and there is no reliable way to determine if a tree possesses Birds Eye before harvest. Sugar Maple is the primary source of sap for maple syrup production. While syrup can be derived from any maple species, Sugar Maple is preferred as it has the greatest sugar content (2.5%) and longest tapping season. On average, it takes 30 gallons of Sugar Maple sap to produce one gallon of maple syrup. The lower sugar concentrations of other maples (Red Maple, Silver Maple, Boxelder, etc.) may require up to twice as much sap to produce the same amount of syrup. Native Americans were known to use Sugar Maple sap, along with that of Birch, as a sweetening agent and syrup precursor. The inner bark was used as a treatment for coughs. 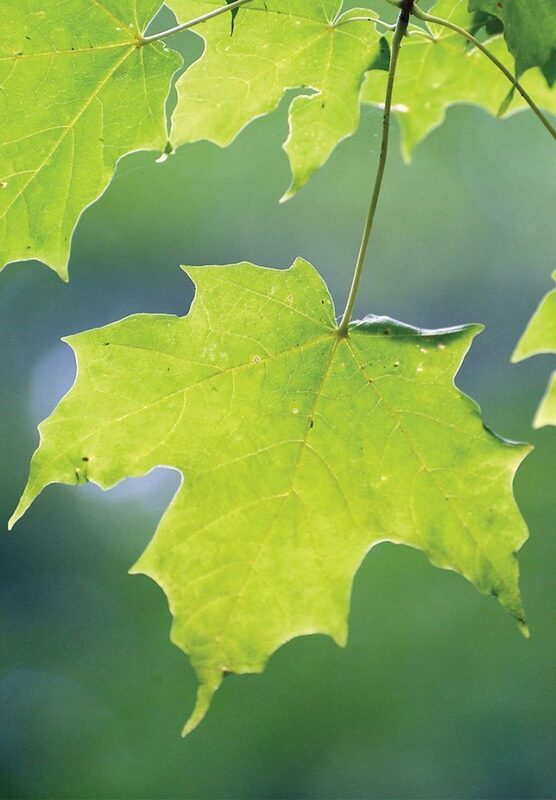 Sugar Maple is found with a variety of native trees in our natural forests. 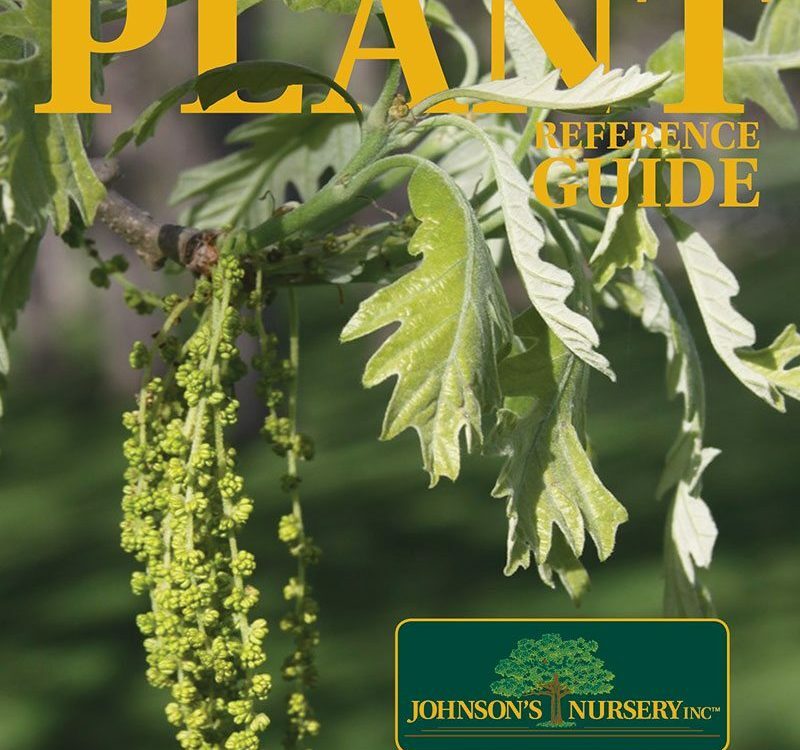 Tree companions include American Basswood, Yellow Birch, American Beech, Northern Red Oak, and Eastern Hemlock. 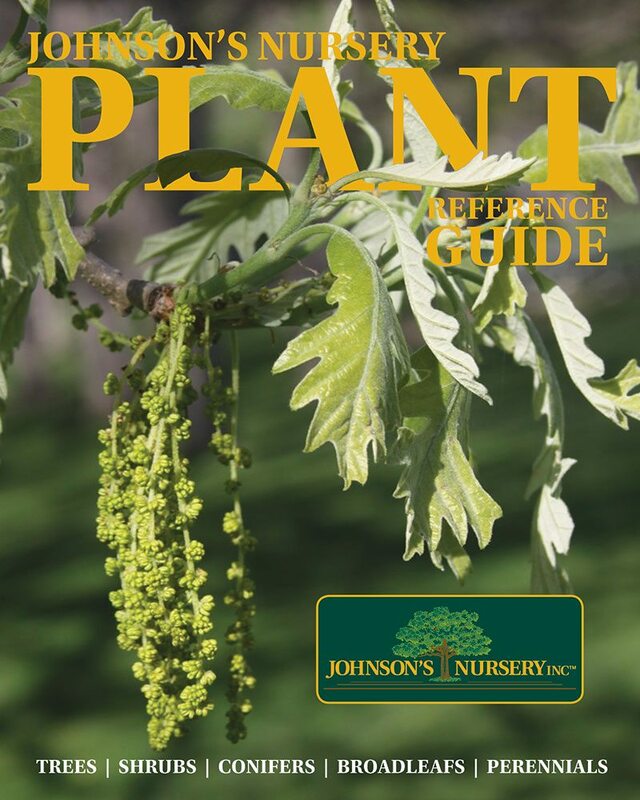 A wide variety of small-stature trees and shrubs are also commonly found with Sugar Maple, such as American Elderberry, Pagoda Dogwood, Dwarf Bushhoneysuckle, and American Hazelnut. In a landscape setting, pair Sugar Maple with trees of varying fall color. As Sugar Maple will change from gold to scarlet in fall, it is especially stunning against the deep gold fall color of a Shagbark Hickory. 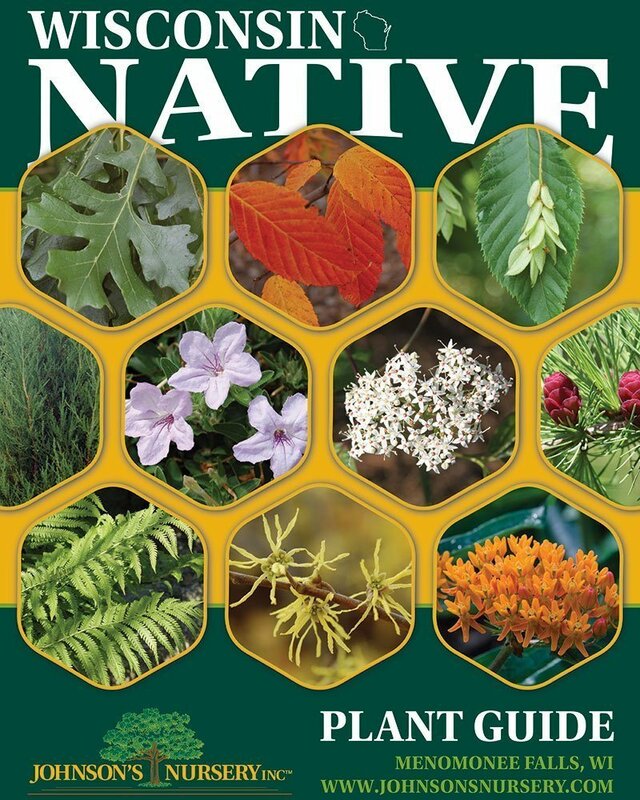 For understory planting, use our American Hazelnut, Irish Setter™ Dogwood, Solomon’s Seal, or Canada Wild Ginger to create a multi-layered effect.